Booking appointments is easy and convenient using our online system. Clicking the “Book Now” button anywhere on our website opens the booking system. You’ll need to create an Unwind account or you may log in with your Facebook credentials. Once logged in, you may choose any of our services and spa packages. Cancellations are accepted but must be made at least 24 hours prior to a scheduled appointment. All service appointments must be reserved with a credit or debit card. 60 and 90 minute sessions are available as well as many other types of massage including: Cranial Sacral Therapy, Lymphatic Drainage, Prenatal Massage, Oncology Massage and Trigger Point Therapy. Please visit the Massage page for details. All services at Unwind must be scheduled in advance. We are not able to accommodate walk-ins. The easiest wat to schedule an appointment is to use our online system. Of course you are welcome to call or stop by as well. We’d love to see you. What do we need to bring? Do you have towels, etc.? Clean robes and comfy slippers are provided as soon as you arrive. Fresh towels are provided in the float therapy and infrared sauna areas for your convenience. Yes, private showers are provided. Are children able to come? The minimum age for any of our services is 15. Can I schedule more than one service on the same day? You may schedule 1 service type per day such as 1 float, 1 sauna, etc. subject to availability. You may not schedule any service more than once per day. What happens to the float room water after a session? Is it clean? Water in the float rooms goes through a 4 part filtration process after each session. You always start a session with clean water. Yes! W have several discounted packages available for each of our services. Many of our packages include sharing with a friend or family member (subject to pre-approval). Can a group of people schedule services at once? 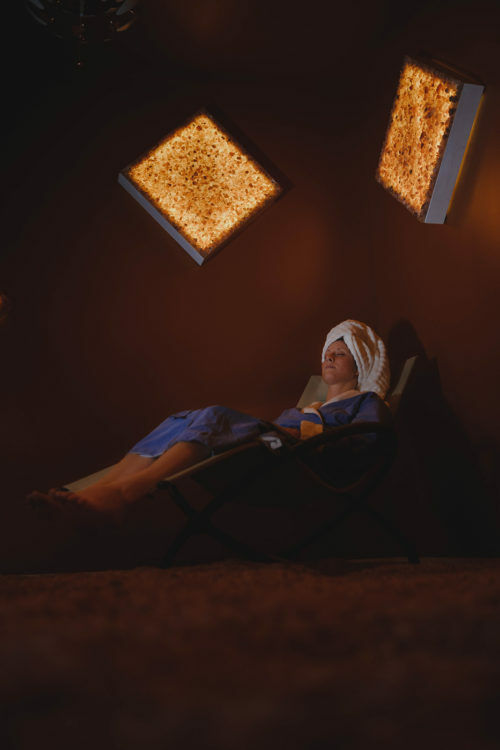 Our Halotherapy room can accommodate up to 6 people. Float Rooms and Infrared Sauna can accommodate up to 2 people at once. Our massage services are single person only. Absolutely! Our membership packages offer the best value for all of our services. Can’t find the information you’re looking for about Unwind? Please call us at 815-570-3919 or visit our Contact Us page to send a message.